Let me tell you a few stories about how I have nearly stopped blogging. Some of these stories you may know; others I have not talked about before. The events behind these stories have all hinged on England’s illiberal and antiquated approach to defamation laws. Those laws must change and here is why. Writing a blog, surprisingly, is not without its serious risks. Hobbies like skiing, diving or playing rubgy can leave you badly injured or even killed. Blogging a weekly article on a subject of your interest can also leave you with a ruined life. In the case of blogging, that risk comes from English libel laws that expose writers to the real danger that they may be financially ruined. When you chose to write about a subject that inevitably questions, even tangentially, the beliefs, motives and business practices of others, then you lay yourself open to some very serious consequences – and there is only so much you can do to protect yourself. I write about superstitious medical beliefs. I do not believe that the vast majority of people I come into contact with are crooks. However, I do believe that they are wrong in their beliefs, and, at times, those wrong beliefs may well end up up harming people. Although the subject of quackery has an undoubted humorous side, I try to write seriously on matters that may well have important health consequences for people. I always thoroughly research my articles and try to be accurate and fair. Any comment I add, I endeavour to substantiate as best I can. This approach is insufficient to mitigate the risk from libel threats. Inevitably, what I write is likely to lead my reader to have a lowered opinion of a third party. My reader may think they are daft or insufficiently circumspect in their practices –they may even, on their own, come to the conclusion that someone is dishonest. That lowered opinion, however slight, is sufficient for a third party to sue me for defamation in England. I have de-famed someone – and all they need to do to start an action against me is to show that they have some sort of reputation in England and that my article may have reduced their reputation in another’s eyes. They do not need to show they have suffered a loss. Nor do they need to demonstrate that anything I have written is untrue, malicious or unfair. Indeed, it will be up to me to provide some sort of defense for my alleged defamation. The onus will be on me to fully substantiate what I have written. But what is the problem, you may ask. If I am careful in what I do, then defending my writing ought to be easy. Despite the extreme ease that the third party has in bringing action, should it not be equally easy for me to defend my work? No. The second problem with libel laws is that costs can very quickly ramp up. Costs in libel actions are typically 140 times higher than the European average. As soon as I start to defend my writing, I put at risk my house. Costs can easily reach six or seven figures for a defendant. To lose would be ruinous. To win, and not be able to recover all your costs, could equally be ruinous for the average person. Win or lose, you will lose financially – and to levels that even a jackpot lottery win might not cover. And whilst you are mulling this over, you will be remembering that the person bringing the action against you is undoubtedly on a no-win no fee arrangement with their legal team. In other words, all the onus of proof and all the burden of risk is upon you. There is no upside from this situation. And it gets worse. You only have very few and tightly defined defenses. There is no broad defense for you if you are writing on a serious matter of public health.You cannot just simply show you are not being malicious, but engaging in debate about an important subject. Your right to free speech about public affairs is secondary to someone else’s right to a reputation, no matter how ill deserved. What actually happens is that the trial might hinge on an ambiguous word, a clumsily constructed sentence or a minor factual inaccuracy. Lose and you are stuffed. Your accuser may have suffered only very limited damages from your words, a few thousand pounds at most. It will be their legal fees (and yours) that will see you handing over your house keys. The laws that make all this so illiberal stem from another age where gentlemen had to be protected from the tittle-tattle of the gutter press. A gentleman’s reputation was unassailable. And the law was constructed to ensure that a reputation, no matter how undeserved, could be protected from the gossip and accusations of popular journalism. Such an approach to defamation is now incompatible with a modern democracy and ideas about the freedom of speech. The consequences of this situation are that writers, whether bloggers, journalists or scientists, may well not write about certain subjects for fear of libel action against them. Over the past few years, there have been several high profile cases involving scientists being pursued for discussing matters that they felt were important in public health. Simon Singh and Peter Wilmshurst spring to mind. Their cases have been well written about. I have been directly affected by these laws – and it has not been fun. I regularly get foaming emails threatening me in all sorts of ways, but occasionally it gets serious. The SoH has a code of practice, but my feeling is that this is rarely used to censure homeopaths and is therefore liable to mislead the public. If the SoH cannot deal with the malaria issue raised by Newsnight, can the public expect them to deal with wider issues? I thought that might be the last of it, but soon after I got an email from my web hosts saying that they had received a letter from a solicitor telling them to take my posts down or risk a libel action from the Society of Homeopaths. This was quite alarming and the letter was serious. I immediately wrote to Paula Ross, Chief Executive of the Society, asking what the problem was. I very quickly got a letter back from their lawyer telling me to back off as this was between the Society and my web hosts. At no time did the Society state what they thought was defamatory about my posts or what was incorrect. My web hosts told me to take some pages down ‘while I sorted this out’ or my account would be suspended. But of course, I could not ‘sort this out’ as the dispute was not with me – officially. My web hosts were my publishers, and as such, could be held liable for what I wrote. I paid them £10 per month – I was not worth the slightest trouble. The Society of Homeopaths deliberately went for the weakest link – the people who were least likely to understand or care about the issues, and the people with the least interest in resisting. But the Society of Homeopaths had not taken into account the outrage felt within the wider blogging community. Ben Goldacre wrote about the case in the Guardian and prominent bloggers and campaigners such as David Colquhoun and James Randi soon picked up the story. Within days, my blog post had been replicated to over a hundred sites and was being talked about all over the world. I must admit I felt rather ambiguous about this. On one hand, I was staggered and honoured by the display of solidarity for me and disgust at the homeopaths. On the other hand, such a huge public profile might have made it harder to quietly settle any problems – shall we say. But fortunately, the Society must have realised they had bitten off more than they could chew and we never heard from them again. And the massive wave of awareness created focussed much unwelcome attention on them. The Society’s attempt to use libel laws to silence me massively backfired. Their reputation was far more trashed than my article could ever achieve. And my blogging profile had been raised beyond all expectations. Suddenly, my posts were appearing on the front page of Google. My Google-Juice had been amplified by all the incoming links from other writers. But it was not the libel laws that protected me from such misconceived action. Indeed, the Society could have blustered on and the situation could have got very uncomfortable for me. I believe luck played a huge role here. The next big libel threat against me was even more misconceived but actually had bigger effects for me. A struck off doctor by the name of Joseph Obi was engaging in all sorts of erratic and strange endeavours which appeared to be attempting to extract money from alternative medicine practitioners. He was calling himself ‘Professor Obi’ and had set up a company called the Royal College of Alternative Medicine, based out of Dublin (!? ), and was trying to charge quacks thousands of pounds to become accredited Fellows of the College. It worked in a few cases. He was also setting up premium rate telephone helplines for the public and selling expensive pamphlets promising all sorts of alternative health insights. The GMC had struck him off as a doctor for his bizarre behaviour and the police had been involved with allegation of taking money off old ladies. I wrote about him – and he tried to copycat the Society by complaining to my web hosts. But in this case, he did not use a solicitor but a legal letter writer – a recently graduated law student making a few quid on the side. The response was immediate in the blogging world – massive replication of my articles and a huge spotlight on the activities of Joseph Chikelue Obi. Despite the obvious absurdity of the threat (he demanded one million dollars per day that the posts were up), my web hosts, Netcetera, had had enough and chucked me off their servers. This isn’t the case of a credible individual holding a gun to the head of Netcetera in the form of a grievous and legitimate complaint it is a man in a chicken suit successfully robbing a bank while holding a giant inflatable banana and farting loudly. 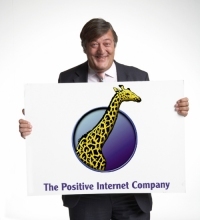 Fortunately, the rather marvellous web hosting company, Positive Internet (the Web Hosts With Backbone), had been following my troubles and emailed me to offer me free hosting for my site. Bless them. it took me many months to convert my site to their technology choices, but has been well worth it. Please use them for all your hosting needs. The case highlighted that the fear of libel laws is such that even the biggest buffoon can achieve meaningful results by threatening defamation proceedings. The third big libel threat I have had I have not written about before. It was all over very quickly several years ago and involved the most aggressive and threatening letters to me from all these cases. It involved a pair of individuals who were practicing as chiropractors without being registered with the GCC, a legal requirement in the UK. They had received a number of negative adjudications from the Advertising Standards Authority and I wrote a post, not really about them, but about the general toothlessness of regulation. I believed that their use of X-rays and misleading claims were a threat to people and there was no authority who really wanted to take on such issues. Their solicitor focussed on the use of a single word in my article (much like Simon Singh’s ‘bogus’) that could be ambiguous in meaning. I thought my use was pretty sound, but their lawyer was adamant that it was deeply defamatory. I changed the word to something clearer. But this was not good enough. Even though now my article contained no words that could be considered defamatory, the fact that, in their view, I had published a defamatory word gave them grounds to pursue me. They demanded that I take down the whole post, and I felt that I had little option. Yes, I could have defended my use of language. I also felt that I would win. But there was enough uncertainty that I knew that should I dig my heels in I would be taking part in a one way bet where there was no good outcome for me. It was a pretty sickening feeling. I was quite sure that the ferocity of the complaint was simply due to my new found Google Juice ensuring my article, and the ASA adjudication I linked too, would appear very prominently on the front page when their customers searched for them. So a tactical retreat was my only option. I hoped that they would now be suffering from severe anatidaephobia as I would be watching, as well as others, and they should really be good boys and girls from now on. These unregistered chiropractors used these illiberal laws to ensure that public debate about how they practiced could not take place. My experience is just one of many similar cases where silence has been the only option in face of such threats, actual or implied. The Libel Reform campaign has been working hard to change the law so that we can all discuss such issues without fear of threats and ruin. I urge you to sign the campaign petition, if you have not done so already. And tell all your friends and colleagues to do the same. There is a real chance that in the new year, the government will reform our laws for the better. But there is a real risk that reform will be watered down after lobbying from vested interests – the libel lawyers who make millions from the state of current laws. The new law needs to address several issues that are being contested by libel lawyers. We need to ensure that wide ranging protection and defences are available for writers. We need to ensure that absolute costs better reflect the potential damages caused by any libellous statement so that costs are not dominated by outrageous legal fees. We need to ensure that people bringing cases have a reasonable case in the first place so that mere threats cannot silence people. We need to limit the ability of corporate bodies to use their asymmetrical power to silence citizen critics. These are not complex or unreasonable demands. We are close to having them addressed in law. Please support the Libel Reform campaign. Reminds me of the bother Oprah had. Bravo, Positive Internet and thanks for your efforts. Believe it or not you have my sympathy and support. But just a simple question, if those ‘unregistered’ chiropractors, aren’t registered, why do you class them as chiropractors, if that is what they call themselves, then it is illegal isn’t it, if this is not what they call themselves it is deliberately misleading? Just a though or are you point scoring again? As you know Bruce, the practice of chiropractic is not statutorily regulated, but the title is. It is therefore legal for anyone to crack the back of anyone else, but call yourself a chiropractor and you are breaking the law. So, if someone trains as a chiro and practices as a chiro then all they need to do is call themselves a ‘spinal manipulator’, a ‘spine wizard’ or even an osteomyologist and you can practice in an unregistered way. I know of practices that use meta tags in web pages to get chiropractic hits, or even hire a genuine registered chiro to ‘front’ the operation – bait and switch. Andy, if you know of practices using meta tags as you have described, would you be kind enough to report it to the police, or at least let us know who they are, as I believe they are committing a criminal offence. If there’s one thing this community should be doing, it’s exposing breaches of the law when identified. I must agree with David. If they trained as a chiropractor and use chiropractic techniques/ manipulation and many people manipulate oncliding medics, physios and Osteopaths and if the research is to be believed, a vast array of other oddbods, and are not registered as such there should be no classification under the chiropractic heading. They will be what they claim to be eg spinal therapists or osteomyoligists. In an attempt to be fair in your review the fact that these people were formally chiropractors, or deregistered or were deregistered if any of these were the case should be stated honestly, otherwise you are perpetuating the belief that your vendetta against chiropractic is brought to the fore at every opportunity. The current laws are an impediment to the right of free speech. You guys all are doing a fantastic job to raise public awareness not only of the evil side of quackery but the risks you face in attempting uncover wrong-doing from piggy lawyers and their nasty clients . Keep at it! We’ll get there in the end. As a critic of questionable mental health practices and pseudoscience who blogs, I can certainly relate! Although I am in the US, we too have our problems here with regard to abuses of the legal system to silence legitimate criticism. Although libel/defamation cases are much more difficult to win here because the burden of proof is, as it should be, on the plaintiff, it is still the case that anyone can sue anyone else for any reason and even if the defendant ultimately wins, defense can be very expensive with the same results you have so poignantly described. Laws vary from state to state. Some states have decent anti-SLAPP legislation to help prevent this whereas others do not and to make matters worse, in some cases jurisdiction has been granted from the states with no anti-SLAPP legislation giving people the ability to sue others from far away states, making a lawsuit tremendously expensive for the defendant. The only solution I can come up with is that all of us who are concerned about the freedom to criticize and how vital this is for scientific endeavors to move forward, need to show solidarity in our efforts to change things and support those who are victimized by this egregious violation of human rights to free speech and I applaud the efforts of Sense About Science to do so. Otherwise, freedom of speech in both the US and the UK, as well as other countries may become a luxury that only the very wealthy can afford and that is something I refuse to accept. My specialty is mental health quackery and pseudoscience. Change the libel laws, so you can ruin people’s lives at your pleasure? You must be joking! The right to free speech should not degenerate into defamation without bearing the consequences. Complaining to ASA with frivolous complainst is also illegal. You want “free speech” to damage people. Glad you can’t. So as I said tough luck and bear it like a man and not like a wimp. It should be pointed out that Karivaj is a homeopath and therefore it is unsurprising that he feels the need to support what are now widely regarded as seriously illiberal laws in order to protect his ability to make dangerously irresponsible claims about sugar pills. It is also worth adding, Karivaj, that the people opposing these reforms tend to be greedy lawyers, charlatans, big businesses hiding dirty secrets, corrupt foreign billionaires, arms dealers etc. I hope you are happy with the company you keep. The fact that this guy is a homeopath shouldn’t detract from him having an opinion nor that he was biased. If that were the case this blog wouldn’t have any poster. What it dies show is threats of legal action against you detract you from your principles. Hardly the martyr ? Homeopathy? Isn’t that the “medical” practice of administering medical-ingredient-free liquids or pills, with no incontrovertible examples of any non-self-limiting (or self-limiting) disease ever having been cured, in spite of 200+ years of claims of such efficacy? Remember Jonathan Aitkin MP and his “sword of truth”, who tried to sue The Guardian! Or, more relevantly, Matthias Rath’s attempts to silence Ben Goldacre and The Guardian. I’m right behind anyone who wants to change the outrageous injustice of British libel laws – which have nothing whatsoever to do with justice it seems. It is how a person who disagrees with clowns like you is treated and made to look foolish for voicing an opinion. Read the post please, before your selfrighteous arrogance kicks in next time. Surely the whole of the society we are born into have on the one side those who search for truth and the pursuit of openness whilst others just profit from lies, deceit and secrecy. Whilst I disagree with much of le Cunard noir,s anti alternative therapy writings he’s got my vote on the suppression of free speech and the changing of libel laws. He can pop to my local any-time to air his views and can call me anything he likes, as long as he calls at the bar when it’s his round. Although I do not live in the UK I am a professional pharmacist living and working in the Netherlands. I try to follow irrational practices in the world and prevent them spreading to the Netherlands. With interest I have been follwing your weblog and the development of the libel laws in England and Wales. Just to let you know that I have added a link to your weblog, because I think it is very good, (on my weblog) rather than discussing issues. People should read your weblog and decide for themselves. If ever you need help, feel free to contact me.